WESTFORD, Mass. 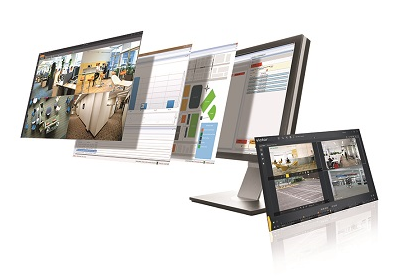 August 17, 2017 –– Johnson Controls’ newest version of its victor Unified Video Management Systems and VideoEdge Network Video Recorders from American Dynamics, provides a transformed, contemporary user interface and new detection and analytics features for increased visibility of the security environment. With victor/VideoEdge 5.0, the updated feature set includes license plate-recognition, perimeter detection, edge-based SD-card failover redundancy and several other advanced surveillance features, delivering greater and faster command and control capabilities. The newly enhanced user interface of the victor video management system (VMS), simplifies day-to-day activities for security operators with both dark and light theme options well-suited for dimly-lit command center environments. The interface offers a reimagined “home” view that remembers frequently-used features, simplifying forensic investigating and live viewing. Workflow functions have also been redesigned to be more intuitive and a new navigation bar and a variety of menu filters puts usability at the center of the victor VMS experience. VideoEdge’s new TrickleStor feature has select Illustra cameras and VideoEdge working together to form a cost-effective redundancy and seamless failover solution. If communications between the NVR and cameras are interrupted or stop, the camera automatically detects the anomaly and begins recording video to its SD card. With VideoEdge TrickleStor, once connections are restored, the recorded video is then transferred back to the NVR’s hard drive. When the video is viewed later, operators will not be able to sense there was any outage, thereby capturing line of sight activity and providing a seamless experience. Powerful License Plate Recognition (LPR) technology sends security operators real-time alarm notifications for arriving VIPs or when blacklisted vehicles are detected. Operators utilize “fuzzy match” with Smart Search, victor/VideoEdge’s forensic search engine, to identify commonly confused characters, such as 8 and B, to generate a list of possible matches. Smart Search can also place asterisks (*) and question marks (?) to correlate recorded video and searches when only a portion of a license plate number is known. For more information about the victor Unified Video Management Systems and VideoEdge Network Video Recorders, visit www.americandynamics.net. Johnson Controls Building Technologies & Solutions is making the world safer, smarter and more sustainable – one building at a time. Our technology portfolio integrates every aspect of a building – whether security systems, energy management, fire protection or HVACR – to ensure that we exceed customer expectations at all times. We operate in more than 150 countries through our unmatched network of branches and distribution channels, helping building owners, operators, engineers and contractors enhance the full lifecycle of any facility. Our arsenal of brands includes some of the most trusted names in the industry, such as Tyco®, YORK®, Metasys®, Ruskin,® Titus®, Frick®, PENN®, Sabroe®, Simplex® and Grinnell®. For more information, visit http://www.johnsoncontrols.com/ or follow @JCI_Buildings on Twitter.